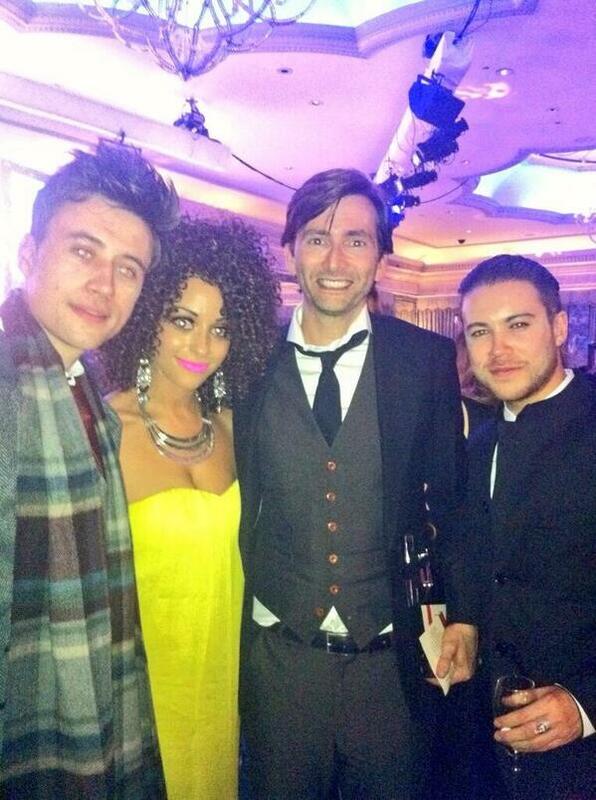 David Tennant attended the TV Choice Awards at the Dorchester Hotel in London. 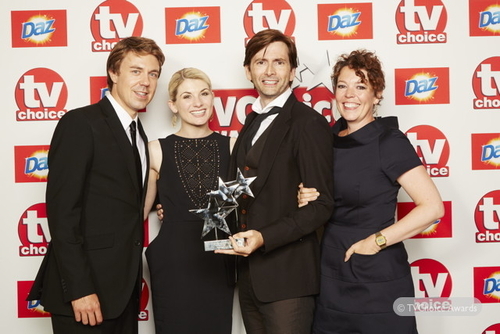 David won the Best Actor Award for Broadchurch and Broadchurch won the Best New Drama Series Award. Doctor Who won both the Best Drama Series Award and the Outstanding Contribution To TV Award. The winners were decided by a public poll held by the TV listings magazine. Photos of David Tennant, Peter Davison and Steven Moffat collecting the Outstanding Contribution To TV Award at the TV Choice Awards tonight were tweeted here and here.